They say bad things always come in threes. Let's hope that's true and this is day three of the week from hell. I wrote on Tuesday about our 3 1/2 year old refrigerator conking out. On Wednesday we were fighting yellow jackets that had come into the house. We still have a few wasps taking turns playing in the dining room, but eventually they wear themselves out buzzing the windows. I keep busy sweeping them up. 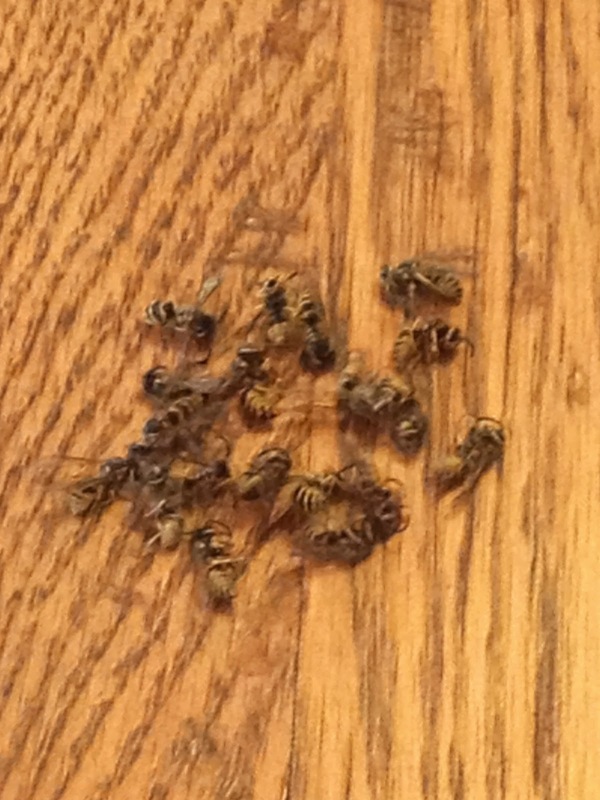 I'm the one who got stung today so there are a few of them left. I tried soapy water on the nest last night. That works better than any other spray I tried. I sure hope we don't have to wait for winter before they all leave. We thought we were in the clear for bad luck but the phone rang before 8:00 this morning. It was a call from a furnace man we called to look over the furnace in the house we rent out. I have written about this house before. It was my great grandma's house, and it was not a good decision to buy it fifteen years ago. The furnace man said that the furnace was not safe, and that we had to replace it before the heating season starts. With that news, we will be in the red again this year for that property. It is truly a money pit. I try not to whine and post a lot of negative things on this blog, so I am going to focus on the bright side. As of noon on August 16, 2014 things are looking good. The temperature in the refrigerator is 38 degrees F.
And then there are the wasps. They work so hard trying to get into the house and then die trying to get back out. I imagine this little pile is a very small percentage of what is actually in the nest, but it makes me feel better to know these won't be flying around inside. Last but not least is the family house that we were fools to buy. I don't know why we were so sentimental over this house. No one is alive that ever lived in it. Maybe with a new furnace, a new roof and some minor repairs, we can finally get the courage to sell it. My Dad remembers it well, but he has even lost interest in it and isn't as attached to it as he once was. 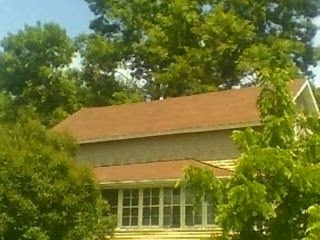 New roof on Great Grandma's house. 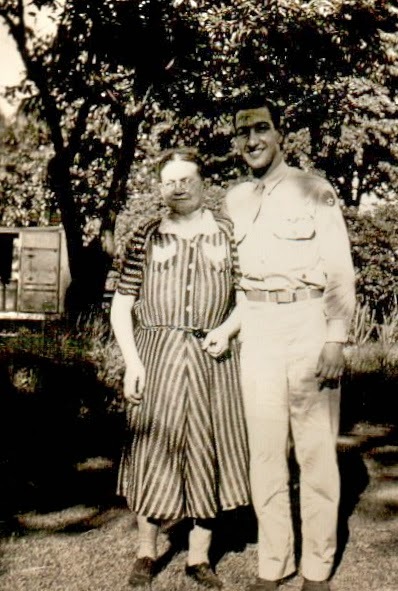 Dad and his Grandma Anna Dux. She was about 76 years old here.